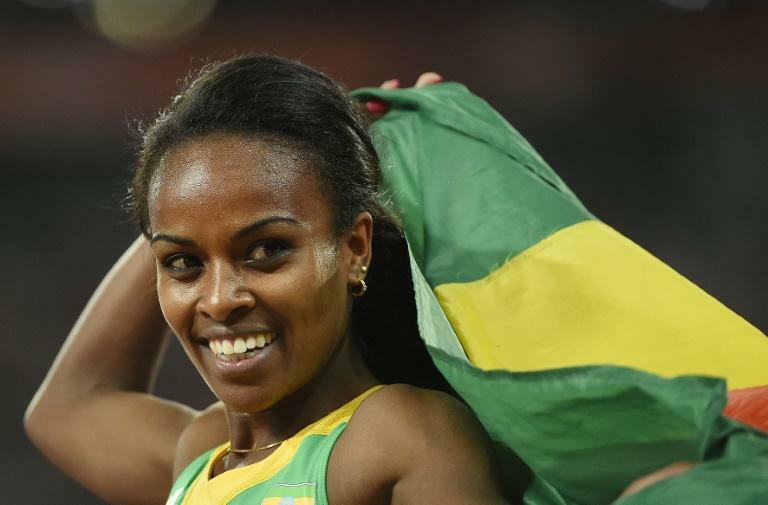 Ethiopian favourite Genzebe Dibaba stormed to the women's world 1500m title as she stamped her authority with a sumptuous display of controlled running in Beijing on Tuesday. The world record-holder strolled through a pedestrian first lap before taking the front, tracked by Kenyan Faith Kipyegon and Dawit Seyaum, also of Ethiopia. But a second kick 200m from the line saw Dibaba stretch away to win in 4min 08.09sec, Kipyegon taking silver in 4:09.96 and fast-finishing Ethiopian-born Dutchwoman Sifan Hassan third in 4:09.34. Dibaba last month ran 3:50.07 to shatter the world 1500m record set in 1993 by China's Yunxia Qu, who competed under the guidance of controversial coach Ma Junren. She also holds the world records for the indoor 1500, 3000 and 5000m events, continuing a family tradition that includes elder sister Tirunesh holding the world record in the outdoor 5000m.